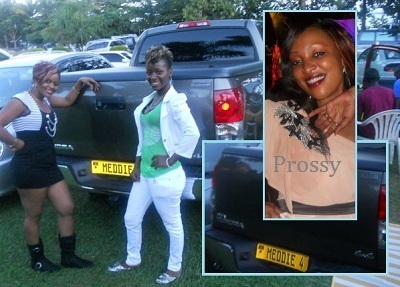 Socialite Prossy Kyeyune is doing badly after her close pal Meddie Ssentongo was sent to the coolers to serve 18 months. Prossy was among those who benefited from the dime that Meddie used to splash around town. On top of a 70m birthday bash at Cayenne, she got a Toyota Prado TX, and her rent in Bunga was being sorted on time. On top of this, she had approximately Shs5m as spending money per week. Things are now biting with her Prado packed most of the time due to the biting fuel costs. Meanwhile, she is rumoured to have hooked another loaded Kassami to sort her out now that her shop dealing in women and kids wear cannot sustain the high life.